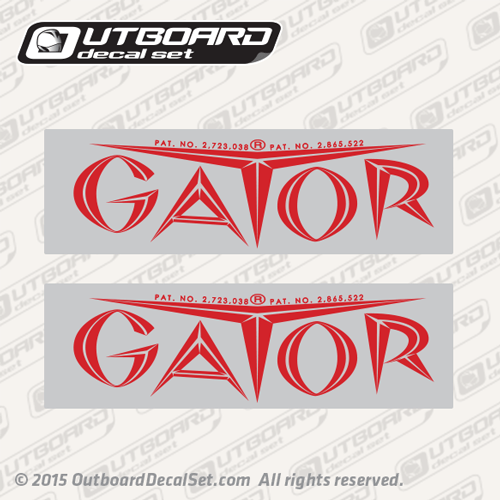 Gator Trailers PAT. NO. 2,723,038 ® PAT. NO. 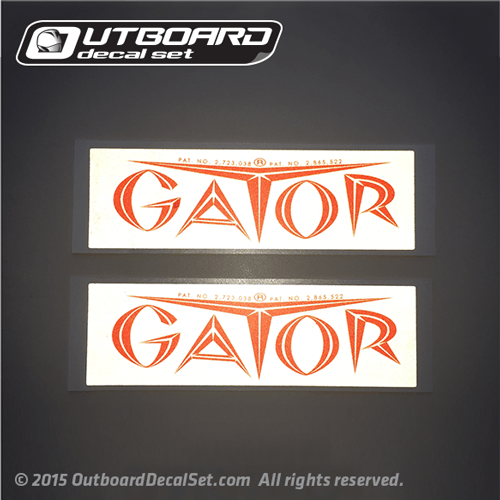 2,865,522 flat-vinyl decal replica Sold by Set for Gator Boats Trailers. 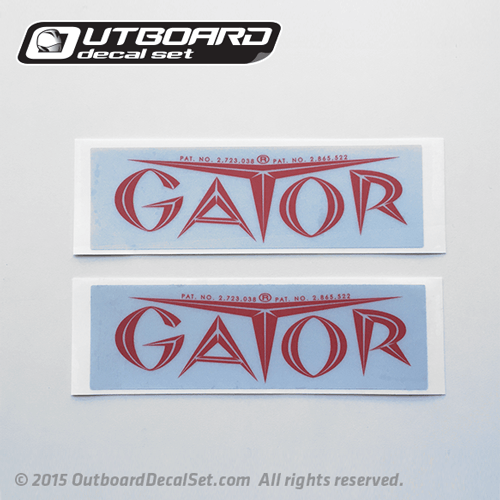 Decal is printed over Reflective vinyl with Red Inks.